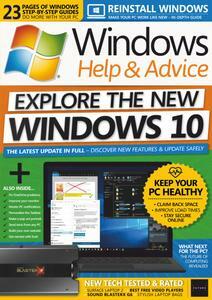 Windows Help & Advice – December 2018 is the only guide you’ll ever need to get more from your Windows PC, whether it’s a desktop, laptop or tablet. Clipboard with history and sync capabilities; to Your Phone, a new app that makes it easy to link your Android phone to your PC. You can read about these and all the other amazing new features included in the Update in our lead feature.